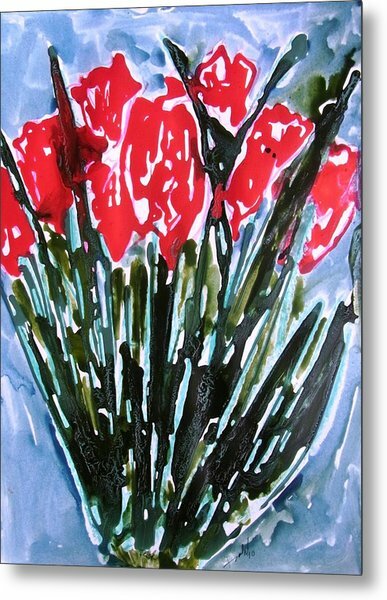 Divine Flowers is a painting by Baljit Chadha which was uploaded on July 17th, 2010. It is essential we realize that our response to art depends on a great deal of touch memory and that this information comes to us through our eyes. Added to this is the principle of gravity which gives us a sense of balance and cohesion. We are quick to recognize anything that is top- heavy, lop- sided or in any way unbalanced or incoherent. Finally we are governed by rhythm: the regular rhythm of the human- beats, of breathing, of succeeding days and nights and as indeed of all the other vital rhythms as those of the oscillating atoms and the planets etc. I believe the work of B.S Chadha responds to all that which is rhythmic, vital and structural in the world, and this means that the artist instinctively bears witness to the basic physical principles of root reality. His work may or not be short on technical rigour as in peak moments of art craft, yet his instincts are sounds. And these are the true substance of his spirals, curvilinear forms and other variations, especially those got up in commanding reds and allied hues. An artist of this genre does what in another art form, like the dance, the dancer does. There is sheer joy in describing circles and the figures of whirling eights. As a craftsman of the finger- tips, Chadha appears to be in constant search among the myriad forms, structures, and variations of color in nature that reveal to us the particular aspects and degrees of rhythms and structures to which human sensibility responds. Each artist is a specialist in looking one way or another, and B.S. Chadha has his temperament gifted with special aims, ideals, visions and methods of works, and which must be understood if they are to be respected. It matters not if Chadha is �well known� or not as an ace art marksman. First things first, for his heart, in matters of art, is in the right place. His offering quickens the pace of our blood stream from to time, and which also means the interplay of muscular tensions and relaxations in our body and its sensors. When this happens to happen to our physiology our spirit also comes alive. The choice works of Chadha, do precisely that at a good many moments. So draw your own conclusions! The intensity, poetics and singularity of joy that Van Gogh brought to the art of painting flowers remains unrivalled in the annals of art history. In terms of adjusted prices Van Gogh remains the highest priced artist for his paintings of flowers. His �Irises� were priced at more than $100 million (adjusted) and his �Vase with Fifteen Sunflowers� for more than $ 75 million (adjusted). Before Van Gogh flower painting was a part of Still Life painting tradition. But he changed it all. A man who painted seriously only for two years of his life changed the way we look at flowers and sunflowers specially. Of other artists who loved to paint flowers the name of American Georgia O�Keeffe comes at the top. 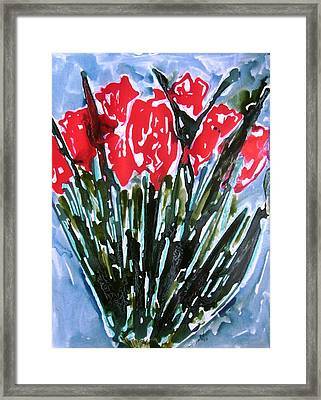 Matisse painted flowers largely as part art decorativ style. 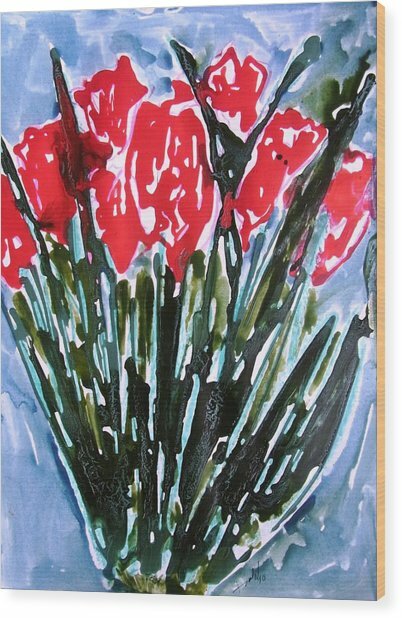 His flowers carry the flat two dimensionality but are saturated with pure colours as per Fauvist tradition. True to his Pop Art style Andy Warhol painted flowers as silk screen portfolios of flat colour surfaces reminding about the unreality of �representation�. Artist friend Baljit S. Chadha has a lasting honeymoon with flowers in his artistic expression. He paints some times with frugality of a Zen master. I can understand that as he had his early training in painting in Japan where he lived and studied as a teenager and had the benefit of the tutelage of great Japanese masters. But his present series on flowers nonplussed me with wonder and joy. He has in the present works a new dimension and a new personality of flowers that I have not seen before. This is because he has distilled the expression from his inner joy and happiness that is the essence of flowers per se and not from their forms. 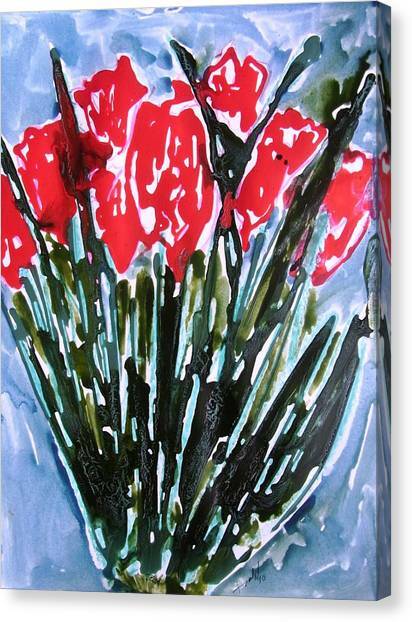 His flowers have a nearly expressionistic, abstract persona. He uses a watercolour like free flow of colour and tonalities to invest his work with a sensual poetry. His works are acrylic on paper and therefore amenable to idiosyncratic overflows that lends a fresh charm to his oeuvre. 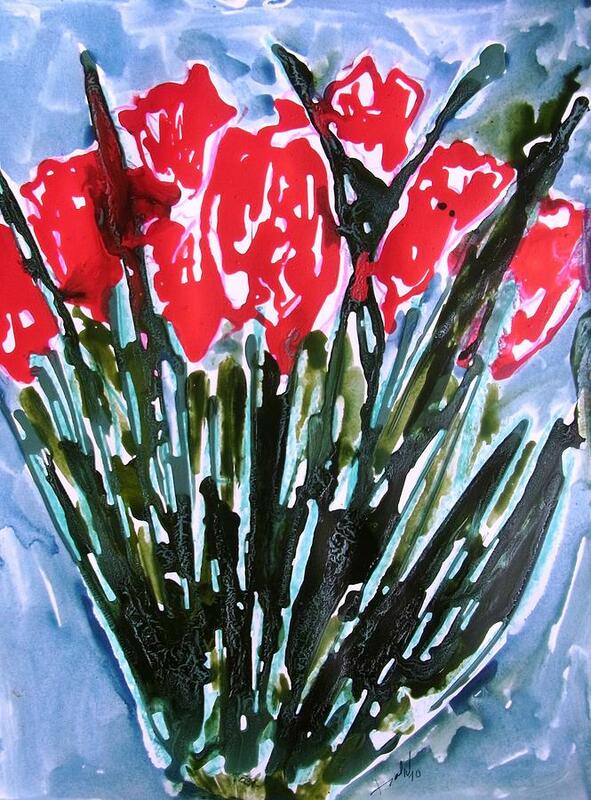 Another landmark quality of Baljit�s new works is that they are rendered in fiery shiny glazes. As we know glazes are traditionally done in oil paint medium. 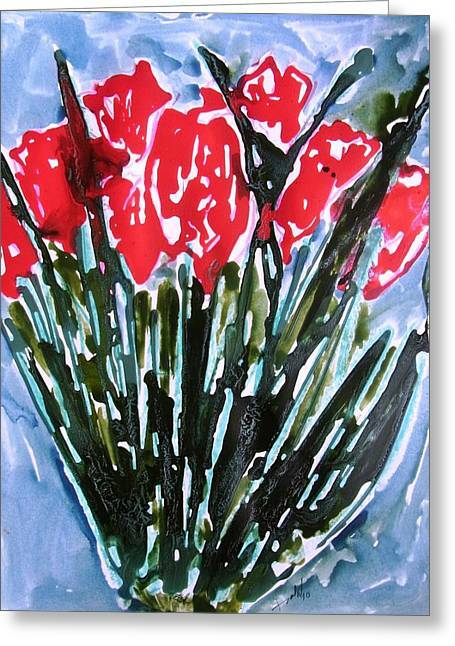 But Baljit has worked them with acrylic colour and without the use of pure impasto. The colours diluted with water float and embrace each other and still have lustrous intensity. Baljit Chadha has created a fresh stylistic edifice and his creative expression jumps from the visible-familiar to spiritually felt flowers in a divine Eden. There are no comments for Divine Flowers. Click here to post the first comment.